Taking the trans story "outside the safe bubble." WASHINGTON — Transgender advocate Janet Mock accused CNN's Piers Morgan of seeking to "sensationalize" her life after Morgan and his producers focused intensely on Mock's past and physical aspects of her transition in an interview coinciding with the release of her book, Redefining Realness. Morgan ended the first segment of the Piers Morgan Live interview by saying that Mock at one point had to tell the man she was dating that "you used to be yourself a man" — although Mock has never identified as a man. The on-screen description of Mock was that she "was a boy until age 18," although she was identifying as a girl in high school, and the Piers Morgan Live Twitter account posed the question during the interview, "How would you feel if you found out the woman you are dating was formerly a man?" "He's trying to do info-tainment," Mock told BuzzFeed Tuesday night. "He doesn't really want to talk about trans issues, he wants to sensationalize my life and not really talk about the work that I do and what the purpose of me writing this book was about." Mock told BuzzFeed that Morgan's interest in her conversations with her boyfriend and the show's identification of her departed sharply from the story she seeks to tell. "My book is not about Aaron or my relationship, but that's the most sensational thing they want to pull out," she said. "They're not talking about my advocacy or anything like that, it's just about this most sensationalized ... meme of discussion of trans women's lives: 'We're not real women, so therefore if we're in relationships with men we're deceiving them.' So, it just feeds into those same kinds of myths and fears that they spread around, which leads to further violence of trans women's bodies and identities." The on-screen line that she "was a boy until age 18" reflected "bad judgment" and "reductive thinking about gender," she said. "What they're saying is, 'Only until I got the surgery, then I was a woman,'" she said. But, she said, the interview — for better and worse — is part of want she chose to do by "going out of the bubble" and being public with her story. "This is my first mainstream television show, was that moment, with Piers Morgan, and you see what they did to my story. Compared to a moment if I'm on Melissa Harris-Perry, which is slightly different, a more sensitive and safe space. But I go onto Piers Morgan, and all of my followers and everyone are like, 'What is this?'" she said. But, she noted, "It's also more representative of the ignorance that there is about trans people's lives. We're out of the safe bubble of social justice." So, Mock — who was with actress and trans advocate Laverne Cox and many others at her book launch party as the pre-taped interview aired — struck back: responding on Twitter by sending out a "reaction shot" photo of her and Cox. "I was just sitting with Laverne, we're at my party, and that's why we made that face," Mock said. "To have a moment that's just like, 'This is still our lives. You can try to do what you want and try to editorialize our lives and reduce it, but we know what our lives are. And we still stake claim to our own identities and our lives." She noted how social media has changed the tables on interviews like Tuesday's with Morgan or like the interview that Cox and Carmen Carrera had with Katie Couric last month. "That's the special thing about social media now is that we can talk back. Piers doesn't have the final say. And we read him," she said. "Our media is just as valid. What we create ourselves, with that one Twitter picture. "It also empowers our followers, too, who are watching us and wondering, 'How do you handle this?' And it shows that we're not broken by this, we expected this. We didn't expect greatness and sensitivity from him, but a part of doing that work and showing visibility and support is by going on those shows and being in those testy waters and seeing, 'How can we navigate it and still rise above it in a sense?'" A lot of very irate people accusing me of &#39;transphobia&#39; because I devoted a third of my show to @JanetMock &#39;s inspiring story. Weird. A lot of very irate people accusing me of 'transphobia' because I devoted a third of my show to @JanetMock 's inspiring story. Weird. For the record, I&#39;m not anything-phobic. We&#39;ll, apart from Madonna-phobic obviously. For the record, I'm not anything-phobic. We'll, apart from Madonna-phobic obviously. Very disappointed in @janetmock &#39;s tweets tonight. Deliberately, and falsely, fuelling some sense of me being &#39;transphobic&#39;. Unpleasant. Very disappointed in @janetmock 's tweets tonight. Deliberately, and falsely, fuelling some sense of me being 'transphobic'. Unpleasant. I&#39;ve never been subjected to the kind of nonsense that @janetmock and her supporters are accusing me of now...wish I&#39;d never booked her. I've never been subjected to the kind of nonsense that @janetmock and her supporters are accusing me of now...wish I'd never booked her. Oh, stop it. You &#39;get it the f**k together&#39;..seriously. &gt; RT @janetmock "Was a boy until 18." @PiersMorganLive get it the f*k together. Oh, stop it. You 'get it the f**k together'..seriously. > RT @janetmock "Was a boy until 18." @PiersMorganLive get it the f*k together. 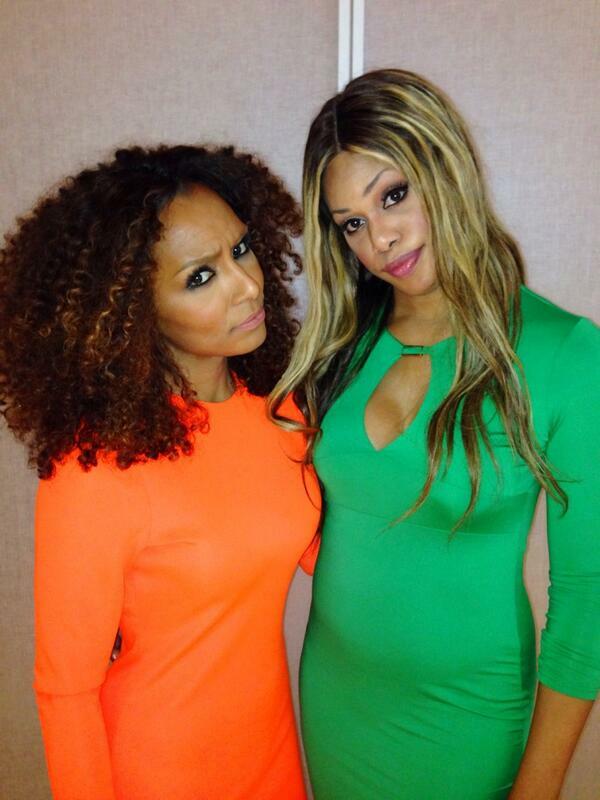 For the record, @janetmock had no problem at the time with our interview - but now seems keen to score cheap points. Very disappointing. I&#39;ll deal with you tomorrow night on air @janetmock - never been treated in such a disgraceful manner. Be proud. Update: 10:30 p.m.: Janet Mock appears again on Piers Morgan Live.